But , the decision by CAS on Friday will decide if they will advance to Europa League ! Some reports say, Besiktas already reviewed fax from UEFA not to show up for Friday's draw ..
Trabzonspor advanced into the Europa League group matches after wining at home 3-1 against Albanian Kukesi team . Trabzon won the first leg match 2-0 in Albania ..
Galatasaray in group B against big guns ! Galatasaray was eliminated by Real Madrid last season at the quarter final stage ! Galatasaray has to win their all home matches to be in good position in the group. It has been very busy week and will be very busy weekend for Turkish Football ! After Arsenal kicked Fenerbahce out of the Champions League on Tuesday on Thursday ,CAS decision was announced ..
As everyone knows , Fenerbahce will not be in the European competitions for two years..
On Friday, CAS will decide on Besiktas's case! Yesterday, Trabzonspor coach Mustafa Akcay said, It looks good on the paper for us but we still have to play ninety minutes on the pitch. We have to do the talking on the pitch "
He went on to say ' No game is won before it is played "
Galatasaray who will play in the Champions League , this season will find out who they will match with! Fatih Terim will be on the sideline after his nine match suspension by Turkish Football Federation ! Fenerbahce out of Europe after CAS decision ! European football governing body,UEFA have sanctioned Turkish side,Fenerbahce,banning them from competing in Europe,because of their role in domestic match-fixing. After their case was heard in the Court of Arbitration for Sport (CAS),their appeal was thrown out ,which enforced the UEFA ruling. Fenerbahce lost both legs of the Champions League to Arsenal,5-0 on aggregate,and it would have been a puzzle for UEFA to solve,had they gone through and CAS upholds their suspension. The Turkish side were due to drop down to the Europa League,but the ban extends in all European competitions and they are set to equally miss out on next season’s Champions League qualifiers. In the closing match of the second week , Besiktas won in away match and stayed perfect after two weeks and moved on top of the Turkish Super League with six points..
Besiktas captured the first place after 144 weeks in the Turkish Super league! While Fenerbahce, Besiktas,Trabzon won their matches ,Galatasaray stopped by Bursaspor ! The new "wonder kid" of Turkish football , Enes Unal become the youngest goal scorer in the Turkish Super League scoring goal for Bursaspor . Roberto Carlos's Sivasspor won in the second week and earn their first three points .. In Trabzon on Monday night Trabzonspor won their match against Rizespor but Trabzon player Volkan Sen walked of the field crying after a verbal "absurd" abuse by few Trabzonspor fans ! While Trabzonspor coach Mustafa Akcay backed Volkan Sen , Trabzonspor chairman Ibrahim Haciosmanoglu criticize Volkan Sen not being professional ! the pitch as professional player "
This has been the talk around"water-cooler" in Turkey! Maluoda, came in for Volkan Sen and scored the winning goal for Trabzonspor ! Another notable mention in the second week , Drogba's gestures as he was sub out during the Bursa vs Galatasaray match ! But, Besiktas started the Super League in better place, Karabuk and Galatasaray are in top three with no loss with four points ! It is non stop football for some Turkish teams .. Ever since Turkish Super League open the curtains on last Friday, almost every day there is a football matches to follow! Besiktas could not hold on to the lead and loss to Norway's Tromso 2-1..
Trabzonspor pretty much , has one foot at the Europa League group stages! Well, now most talked issue in the Turkish football ! Fatih Terim will be the new coach for Turkish National team.. This is third spell for Terim just like it was third spell for him at Galatasaray ! (TFF) Turkish Football Federation ,asked for permeation from Galatasaray to talk to their coach ! So they did, in a couple days after talking, TFF signed a contract with Fatih Terim for one year, for a 4 national match! 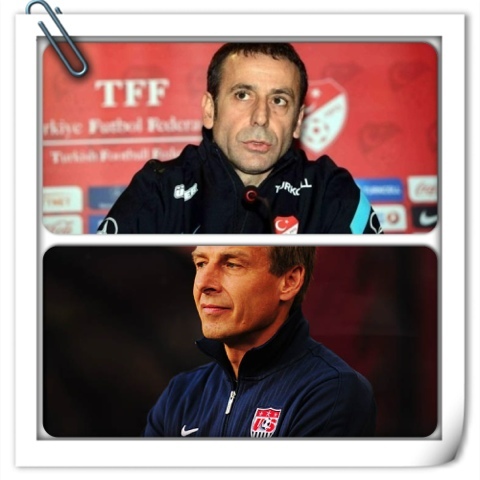 This will be his third time coaching Turkish National team! This time he is taking a team in bad position and also there is a 4 must win matches ! That would not even guarantee Turkey to go to World Cup 2014 in Brazil.. 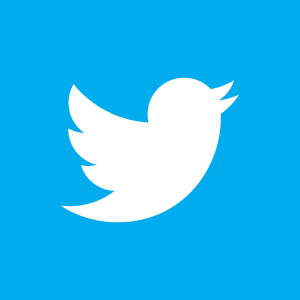 They need a big miracle ! Terim's hands are full ! Turkish National team has seven points in six matches! Way behind Netherlands who has 18 points and four points behind Hungary ..
Hungary already in a playoff spot ! A lot of people are asking," is this contract for only four matches or four years!" Will Fatih Terim leave Galatasaray at the end of this season! But, for now Turkish National team will try to win their remaining four matches and hope for the best! Fenerbahce crushed at home by Arsenal 0-3 ! Let's face it, sometimes what you wish or hope for does not happen on the pitch! Fenerbahce coach Ersun Yanal said, he was very hopeful about beating Arsenal ! He was the engineer for that poor show on the pitch at Kadikoy! And , not building attacks from wings, gave the momentum to Arsenal in the second half of the match. Arsenal with second half goals from Gibbs, Ramsey and Penalty kick goal by Giroud pretty much ended Fenerbahce's hope for second leg match in London! Next ten days, could be very stressful for Ersun Yanal and Fenerbahce! “Arsenal are a high power team, so we will want to go there with an advantage,” Yanal said at a press conference. “As a team we are strong enough to finish the challenge which is in front of us. “We are competing to be in the first lane "
They have lost to newcomers of the league Konyaspor after going ahead 2-0 and losing at the end 3-2 ! Only thing about him is, he is very aggressive and he is card prone player! Last time Arsenal visited Fenerbahce back in 2008-2009 and beat Fenerbahce 5-2 ! They can't do like what they did in Konya on Saturday! With 12th man in the stands at Sukru Saracoglu Stadium , Fenerbahce has to have flawless match! Turkey's coach Avci resigned ! 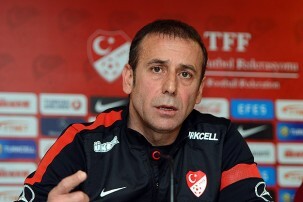 Turkish National team coach Abdullah Avci said, he is leaving his duties at Turkish National team . During the two years, Abdullah Avci won 6 draw 4 and lost 8 matches in 18 matches ! Most likely Turkey would not make the 2014 World Cup Tournament in Brazil.. He came in to the job with big promises but could not deliver it! His lack of experience with dealing with big name player and putting trust on German born young German Turk's was big factor! In 18 matches Avci's Turkish National team scored 24 goals and allowed 24 goals..
After starting with a boring and goalless match on Friday in Antalya between Antalya and Kayseri Erciyes , on Saturday, Sunday and Monday fans saw some good actions in the Turkish Super League! Fenerbahce going up 2-0 in the early minutes in Konya then losing 3-2 was big and shocking news! Gazinatepspor's Muhammet Demir's goal against Galatasaray was the goal of the week in my opinion. Both made some huge mistakes but that is not the end of the world! That was huge problem with Besiktas last season! With Tolga in goal for Besiktas defense look good for Besiktas, all they need is a good striker! Better Sneijder , and well fit Drogba ,Muslera and Selcuk Inan will be their biggest leaders this season. Elswere , Eskisehir beat Bursa, Rizespor defeated Genclerbirligi , Karabuk won against Kasimpasa, Kayseri beat Sivas and Akhisar defeated Elazig ! With 3-1 win, Akhisar finished the first week on top of the Turkish Super Lig ! In week one, Karabuk's Lualua goal and Gazinatep's Muammet Demir's goal was something to see ..
Fenerbahce's Emenike missing goal was the biggest disappointment moment of the week 1 ! Two National teams and two coaches ! Two National teams , two coaches ! The longest in USA history ! His team scored 70 goals and allowed 36 goals.. Beat Germany,Mexico and Jamaica for the first time in USA SOCCER HISTORY ! 6 wins ,4 Draw , 8 loss ! Turkey scored 24 goals and allowed 24 goals in 18 matches under Abdullah Avci ! 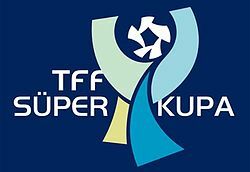 The new season in the Spor Toto Super League, will kick-off on August 16, with Antalyaspor v Kayseri Erciyesspor. Two giants Besiktas and Trabzonspor are set to meet in Istanbul on August 18. Turkish national football-soccer team meets Ghana in a friendly game in Istanbul . Turkey will visit Romania on Sept. 10 in a key game, four days after hosting continental pushover Andorra. Six games into the 2014 World Cup qualification, Turkey is fourth in the Group D, left far behind the Netherlands, which leads with 18 points. Hungary is second with 11 points and Romania is third with 10 points. Turkey, which lost to Romania and Hungary in key games, is just fourth with seven points, and will make a desperate bid to get second place in the group for a playoff spot on the way to Brazil. Avcı said the Romania game would be decisive and refused to give up hope. Abdullah Avcı’s performance as the national team coach has been largely disappointing, since he has led the team to only six wins in 17 matches, losing eight times. The match will be broadcast live by Kanal D TV . Turkish Super Cup : Drogba Factor ! Let's face it , we could call him most recognize player who is playing in Turkey. He is Galatasaray players Didier Drogba! He has been with Galatasaray only six month , but he is setting records ! Drogba played in 10 matches and scored 5 goals and assisted on 6 goals ! This season , he scored two goals against Arsenal when Galatasaray won the Emirates Cup and scoring one on Sunday in the overtime to claim Turkish Super Cup . That is without a doubt is Drogba factor ! Even though , Drogba was not on Fatih Terim's list ! Galatasaray fans should be thankful their President for that ! Fenerbahçe had many chances early minutes of the match but, they couldn't cash it in ! And Muslera kept Galatasaray's lead after Drogba scored ! Drogba's powered header was the only goal in the Turkish Super Cup in Kayseri . Just before, the season started this weekend , Drogba factor is already working for Galatasaray . Also.this was Galatasaray coach Fatih Terim's 13th cup winning, in his career .He surpassed Trabzonspor former coach Ahmet Suat Ozyazici ,who won 12 cup titles in his career . For a " Super Cup " of Turkey ! Fenerbahce will face Arsenal in Champion League play -off match ! The 2012-2013 Turkish Super Lig Champions Galatasaray and 2012-2013 Turkish Cup winners Fenerbahce will face each other in Kayseri on Sunday. Players like, Drogba ,Sneijder and Burak Yilmaz should be on the pitch for Galatasaray. Fenerbahce's Dirk Kuyt , Sow and Webo could do damage on Galatasaray's week defense. There will be high security at the doors, checking fans for alcohol level ! The Super Cup match will be on Sunday Agust 11th, at 21:00 local Turkey time (2.00 ET),in Kadir Has Stadium in Kayseri,Turkey. The match will be broadcast by Turkish A TV Channel. Fenerbahce hasn't won this cup since 1985! Both coaches like open and attacking football ! The Turkish Super League didn't even start yet but we have one coach already shown the door! Hikmet Karaman ,started the last season, with Gazinatep and later, in the late part of the second half of the season came to Bursaspor after Ertugrul Saglam resigned from his duties . Unfortunately, the man who gave him the job, has died suddenly and Bursa club elected new CEO! Things did not go that well with new CEO and Hikmet Karaman! Bursaspor officially announced sacking news on Friday , on their web site. Reportedly, Mustafa Denizli was asked and he did not want the job! This is just starting, this season! Merry Go Round of Turkish coaches will go around again , this season. Retread coaches and rookie coaches who has no experience, will be there !